Westbrooke At Geist McCordsville - Photos shown may be an artist rendering, model home, or of the same model. MLS#21630773. CENTURY 21 Scheetz. Westbrooke At Geist McCordsville - Photos shown may be an artist rendering, model home, or of the same model. MLS#21630796. CENTURY 21 Scheetz. Emerald Springs - The pond view overlooks the fountain and walking path. MLS#21631150. RE/MAX Legends Group. Austin Trace - Easy access to interstate and amenities. (W-HAR) MLS#21631243. CENTURY 21 Wilson & Associates. Wood Haven - Don't miss out on this opportunity! MLS#21630926. Keller Williams Indy Metro NE. Too many Builder upgrades to list! MLS#21630096. F.C. Tucker Company. Springs Of Cambridge McCordsville - Lower level walk-out with fireplace, wet bar, office/workout/ Dining Room bedroom. Wonderful backyard with paver patio. MLS#21629809. Berkshire Hathaway Home. Water softener purchased approximately 4 years ago. MLS#21629935. Tucco Realty LLC. Enjoy the country setting when you sit and relax in the back yard. MLS#21629822. F.C. Tucker Company. 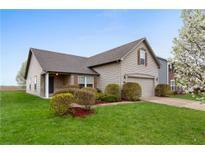 Westbrooke At Geist McCordsville - This amazing house sits on a great lot that is fully fenced in. Make it yours today! MLS#21629904. Keller Williams Indy Metro NE. Villages At Brookside - This better than new and fully updated Fischer Home Blair Coastal Classic Model will have you feeling like a queen/king in your new castle! Come see it! MLS#21628950. Keller Williams Zionsville. Westbrooke At Geist McCordsville - Wonderful patio for outdoor entertaining and lush green lawn. A must see! MLS#21629287. CENTURY 21 Scheetz. Deer Crossing - The backyard features a new patio with a new firepit enclosed by a new privacy fence. MLS#21629117. 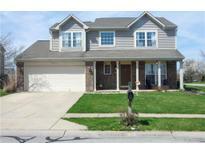 Keller Williams Indpls Metro N.
Stansbury - This Home Has It All Away From The Hustle & Bustle And Great Mt. Vernon Community School!! ! MLS#21627146. RE/MAX Advanced Realty. Westbrooke At Geist McCordsville - Garage is oversized and can likely fit more than 3 cars. MLS#21628789. Keller Williams Indy Metro NE. Cardinal Woods - Conveniently located moments away from shopping, dinning & entertainment. MLS#21628478. Litz Real Estate. Villages At Brookside - Centrally located hall bathroom and large loft. Expanded 2 bay garage. MLS#21628524. HMS Real Estate, LLC. Wood Haven - Large, private yard backs up to farmer's home. Premium playset stays. Community pool! MLS#21628461. Keller Williams Indy Metro NE. Springs Of Cambridge McCordsville - Oversized 4 car garage. 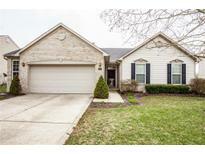 HSE-Geist Elem MLS#21628473. Paradigm Realty Solutions. Walking trails, pool, park & playground just a short walk away! MLS#21628374. F.C. Tucker Company. Westbrooke At Geist McCordsville - Not to mention you are just a 5 minute drive to delicious restaurants and Scarlet Lane Brewery. MLS#21627987. F.C. Tucker Company. All in the wonderful Mount Vernon Schools and the friendly neighborhood of Stansbury. MLS#21628127. Keller Williams Indy Metro NE. Springs Of Cambridge McCordsville - Walkout, lower level features exercise room, bar area, 8 person hot tub, bedrooms/office, and impressive storage room. MLS#21627971. F.C. Tucker Company. 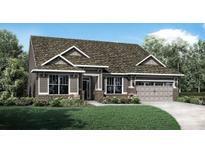 Springs Of Cambridge McCordsville - Oversized 3-car garage. Gobs of storage! MLS#21628045. RE/MAX Ability Plus.